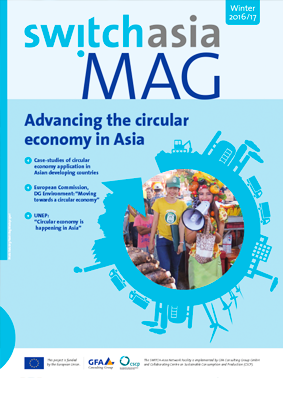 While the circular economy is gaining momentum in the agenda for growth in the developed world, it is also starting to make its way into developing countries in Asia. Building up on local culture and traditions that value principles of recycle and reuse, developing innovative solutions and adapting to local specificities, the circular economy unfolds at a different pace yet with proven benefits. Download the magazine here or go to SWITCH Asia for more information.